and at many other venues in London and different parts of England. I've also read to the Women's Book Club in Trinidad. 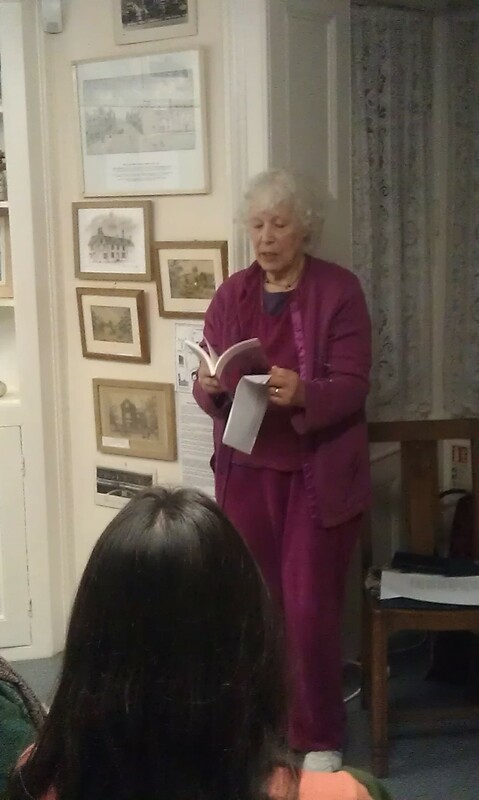 The accompanying photograph shows me reading at Bluegates Poetry in Swindon at the Richard Jefferies Museum. Monday 30 July I am reading at Holland House Second Light Poets' July Residential week. This is a closed event. I am reading for Ouse Muse in Bedford at the Auction Room Bar, 1 Duke Street, Bedford, MK40 3HD. Floor readings, £5, £4 concs. Contact Ian McEwan.